Maharashtra 10th Admit Card 2019: Maharashtra State Board of Secondary & Higher Secondary Education, Pune is ahead to conduct the Secondary School Certificate (SSC)/10th class examinations in the months of March-April 2019. Lakhs of students obtaining education under the Maharashtra education board are getting ready to attend the exams and to score their best. All the students presently pursuing the class 10th/SSC in various government/aided/private schools in Maharashtra can check the exam date sheet from MBSHSE official portal, mahahsscboard.maharashtra.gov.in. Students must download the hall tickets to proceed with the examination. The admit card/hall ticket will be accessible before 10 days of the examination (approximately). After downloading the hall tickets, students can check the details of their examination venue, date, and timings information from it. Also, student-related information will be printed on admit cards. Once after downloading it, check all the details clearly from it after downloading. Students gaining SSC/10th Class from MBSHSE board can check the hall ticket information such as hall ticket availability date, downloading process and others from this article. 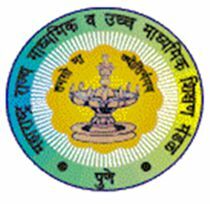 Maharashtra Board of Secondary and Higher Secondary Education (MBSHSE), Pune is the state level education board that monitors secondary and higher secondary education system in the state. Annually the board conducts the academic examinations in March/April months and releases the results in May/June months. Lakhs of students obtaining education for SSC and Intermediate under MBSHSE Board. This year the board is planning to conduct the examinations for the academic year 2018 -19 in the months of Feb/Mar. Hence students presently gaining education under MBSHSE can get ready to attend the examinations. Before going to exams, check the date sheet clearly, download and carry the hall tickets, and follow the other important guidelines carefully to attend the exams smoothly. Go through the admit cards clearly after downloading. If any printing mistakes appear in name, sir name, date of birth or any other field, students can complain to the corresponding schools in which they are studying. The hall ticket/admit card must be taken to the examination without fail. If the candidate fails to carry the admit card, he/she will not be allowed to attend the test. Hence to overcome this trouble all the students are informed to carry the admit cards as a must. Check the following steps to download Maharashtra SSC Hall ticket 2019.